Part of your standard maintenance as a homeowner should be to check doors, windows, and garage doors for gaps in the weatherstripping. Old, damaged or completely absent weatherstripping means that your home could be leaking cool air in the summer and hot air in the winter. 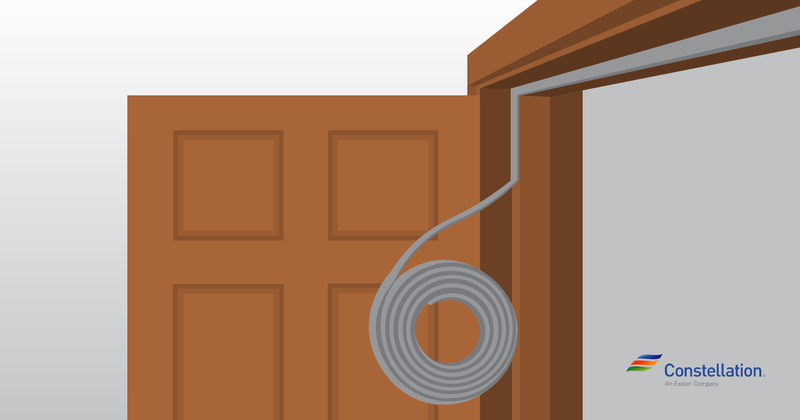 Repairing these gaps makes your house much more energy efficient— in fact, up to 20% more. So, ready to start weatherstripping? Weatherstripping comes in a wide variety of materials and styles, each with their own specific uses, benefits, and disadvantages. Let’s take a look at a few of the materials and uses for these common types of weatherstripping. Also known as V-strip or V-channel weatherstripping, tension-seal weatherstripping uses a strip of vinyl, aluminum, or stainless steel folded into a V-shape to seal the tops and sides of doors. This practice can be used for the sides of double-hung or sliding windows, too. Tension-seal weatherstripping is very durable and can’t be seen once installed; however practical, it can be difficult to install and may make it harder to open and close windows. 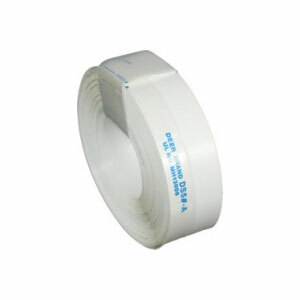 Sold in rolls, felt weatherstripping is the least expensive way to seal doors and windows. Felt weatherstripping lasts the shortest amount of time, and is the least effective among the types listed, but it is easy to install, and comes either plain or reinforced with a pliable metal strip. If you go this route, opt for all-wool felt, as it is more durable than other types of weatherstripping felt. 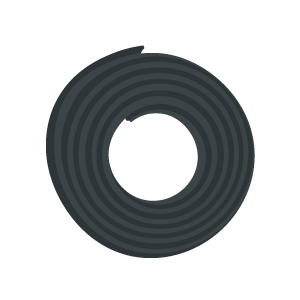 What is rolled-vinyl gasket weatherstripping? 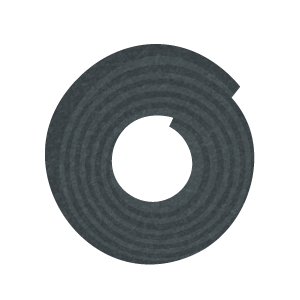 This weatherstripping method uses either flexible or rigid rolled-vinyl gaskets in door and window stops, the bottoms of doors, and window sashes. They are very easy to install and are moderately priced, but they are visible once in place. Foam weatherstripping is a type of compression weatherstripping, and comes either as reinforced (attached to wooden or metal strips) or as tape. Reinforced foam weatherstripping is good for door and window stops, the bottoms of doors, and window sashes. When reinforced, foam weatherstripping is very effective, but it can be difficult to install. On the other hand, the easy-to-install tape foam weatherstripping is good for irregular-shaped corners and cracks, but it’s not as durable as some of the other methods. What is door shoe and door sweep weatherstripping? 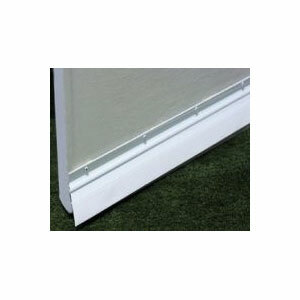 Door shoes and door sweeps are both attached to the bottom of a door to seal the gap between the door and the floor. A door shoe is made out of U-shaped aluminum that’s fitted with a vinyl insert and attaches around the bottom of the door, while a door sweep is a wooden or metal strip fitted with a nylon blade that attaches to the outside of the door. These are generally very durable, but they can be difficult to install and may require planing the bottom of the door. What is planing? To plane a door simply means to shave away material to allow the door to open and close smoothly without sticking. What is “frost-brake” threshold weatherstripping? The frost-brake threshold combines metal, wood and vinyl into a system that decreases cold transfer and is meant to replace your current threshold. It is very effective, but it can also be difficult to install. 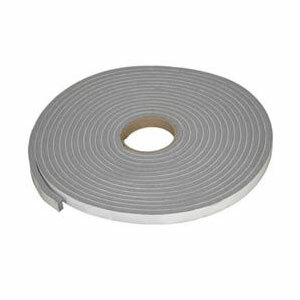 Pile weatherstripping: Also known as a fin seal, pile weatherstripping consists of dense fibers attached to a metal strip, and is used for sliding windows and sliding glass doors. Extra-thick weatherstripping: Most types of weatherstripping come extra-thick, and can be used to seal garage doors and unusually large front doors. How do the materials of weatherstripping compare? The difference between rubber weatherstripping and vinyl weatherstripping is minor; both can be self-adhesive, are rigid or flexible, and are relatively inexpensive. Reinforced foam weatherstripping is generally more effective than rubber weatherstripping, but it is also harder to install. Rubber weatherstripping is more effective, more durable, and more expensive than felt weatherstripping, but it can be harder to install than felt weatherstripping. Now that you’ve settled on the type of weatherstripping that works best for your project, the next step is to install it! You’ll want to measure the perimeters of all of the doors and windows that need weatherproofing and then add an additional 10% to account for accidents and/or waste. Weatherstripping also comes in various thicknesses and widths to account for the wide variety of doors and windows, so be sure to take note of the sizes you’ll need for yours. How do you replace weatherstripping around a door? Start by removing all of the old weatherstripping; you’ll need a clean, dry, flat surface for the new weatherstripping to attach successfully. Use a single, continuous strip along each side. Make sure that the weatherstripping fits snugly together at the corners. When in place, the door should fit tightly against the weatherstripping without being difficult to open. 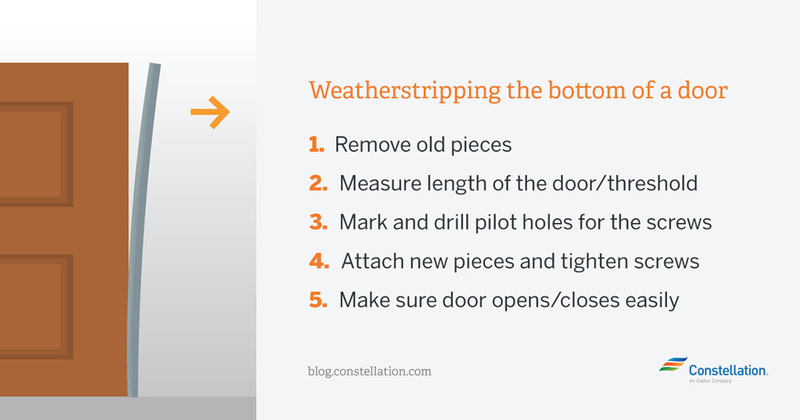 For more information on how to seal a door, visit Constellation’s blog post about weatherizing your home. How do you replace weatherstripping on the bottom of a door? Remove the old weatherstripping first; you will need a flat, clean surface for the new weatherstripping to attach successfully. Depending on the type of weatherstripping you choose, you may also need to remove your current threshold, or plane the bottom of the door. Measure the length of the door and the threshold, if replacing. Mark and drill pilot holes for the screws. Attach the weatherstripping to the bottom of the door, tightening the screws firmly. Attach the threshold, tightening the screws firmly. Ensure that the door closes and opens easily, and adjust if needed. How do you replace weatherstripping around a window? Replacing weatherstripping around a window is the same process as replacing weatherstripping around a door. When in place, the window should fit tightly against the weatherstripping without being difficult to open. Pro-tip: you can also prevent air leaks by installing energy-efficient windows. How do you seal a garage door? If present, remove any old weatherstripping, making sure that the surface is clean, dry and flat when finished. 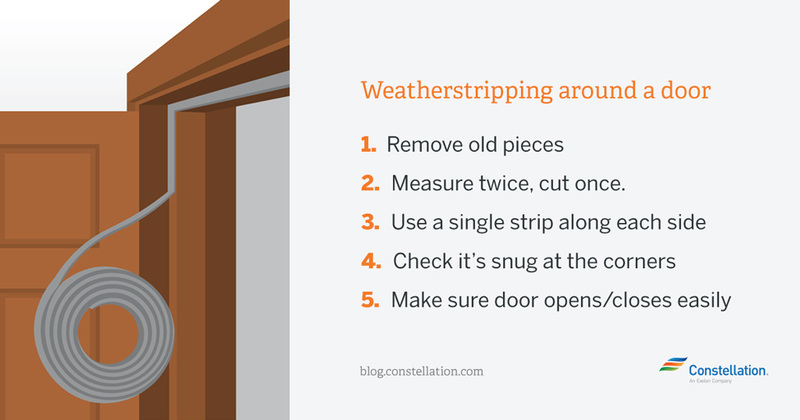 Measure the top and the sides of the garage door, and cut pieces of weatherstripping to size. Starting along the top of the garage door, attach the weatherstripping loosely until the strip is completely in place. Then tighten all the screws. Complete the same steps on both sides of the garage. Test your garage door, ensuring that the weatherstripping does not interfere with the garage door’s ability to open and close. Now that you know how to seal a garage door, how to seal a door, and how to select all types of weatherstripping, let your to-do list write itself! Play the pro and check for air leaks all around your house. Let us know if you’ve found any unexpected air leaks, and about your experience on fixing them!